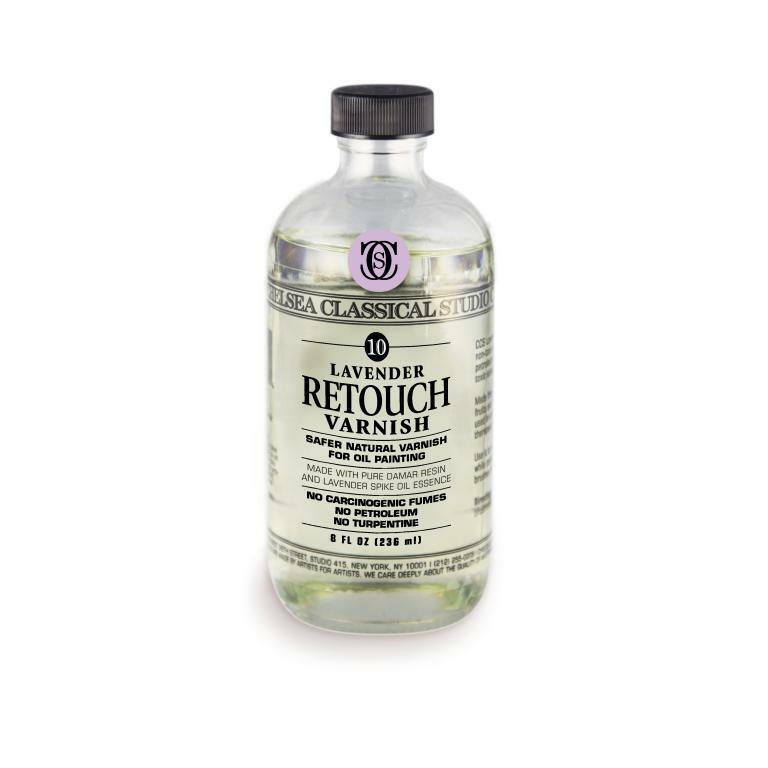 Lavender Retouch Varnish can be used as a retouch varnish, or mixed with into mediums to make them glossier and dry faster. Lavender Retouch Varnish is made with damar resin dissolved in Lavender Spike Oil Essence instead of Turpentine. Since it is made with Lavender Spike Oil Essence, it does not cause chronic health effects such as those associated with the inhalation of fumes from other varnishes made with Turpentine or mineral spirits.